Do you like Blocky Trials? Share it with your friends. 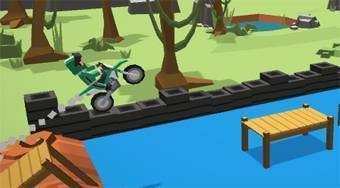 Blocky Trials - playing a role of Minecraft checker guy ride on the motorcycle on the race track, jump over the obstacles and try to reach the finish without falling.